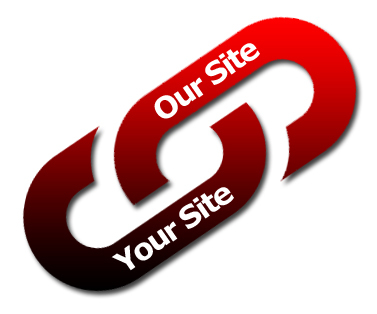 SEO Text Links vs Banners | Thill Logistics Inc. Besides having great content, link building is the most important key to having a sound SEO plan. Link building creates relationships with other websites that search engines pick up and see how your site is relevant to the contents of those other websites. Google then uses this information to help understand what your site is about and why they should index it. In this post I will describe why text links are better than banner images for SEO purposes. What is a Text Link? Ex. Nike has a new line of men’s Nike golf shoes. The example above is a sentence that includes a text link. The text link is “men’s Nike golf shoes” and that tells Google and other search engines that the site that link refers to is most likely about “men’s Nike golf shoes.” From an SEO stand point, this is a huge deal. This is how you start ranking in search engines for keywords and keyword phrases such as “men’s Nike golf shoes.” When you can get your text links, created with keywords and phrases you want to rank for, on as many sites as possible, the better off you will be for ranking for search terms like that link. This is why link building is the most critical step to SEO. You can have the best looking site on the web, but if people aren’t finding it organically, no one will find it or know what it is about. So why does this make text links better than banners? Simple… search engines can’t read the content of an image. They can only read the “alt” tag associated with the image. This doesn’t give search engines enough data to know what your site is about like text links do. Banners might look more appealing and should still be used in other forms of marketing and other purposes, but for SEO, nothing beats text links. Remember, link building takes time, but it definitely pays off when done right. It’s what drives information to search engines and helps determine your organic rankings. Take the time to learn more about it and do it right, doing it wrong can cause critical damage, even penalties from Google and other search engines.